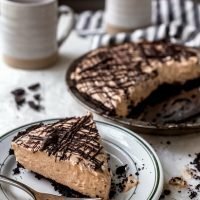 Peanut Butter Pie with Oreo Crust: A sinfully delicious and incredibly easy dessert for any occasion with an Oreo crust and a peanut butter cheesecake-like filling! When I get a new recipe idea stuck in my head, it’s sometimes really difficult to get it unstuck. More often than not, I just need to get in the kitchen and bake or cook the idea out in order to feel a bit of calm again. From time to time, I pour over my cookbooks to get some inspiration for ingredients and techniques. Other times, I just pull out the ingredients from the fridge/cabinets/pantry, fire up the oven/stove, and set to work. And frankly, it’s all a little haphazard. I know Kyle, the dishwasher, starts rolling his eyes as soon as the wooden spoons, skillets, and bowls start flying. I can almost feel his eyes burning into the back of my head! I never said I was a neat one! However, the one constant in my kitchen – aside from the guaranteed mess – is that I keep a little notebook with me when I’m developing new recipes. Because as soon as I leave the kitchen after eating, that brilliant new recipe is “WHOOOSH!” out of my head! Call it “mom brain” if you want. But really, I was still just as forgetful before I was a mom. 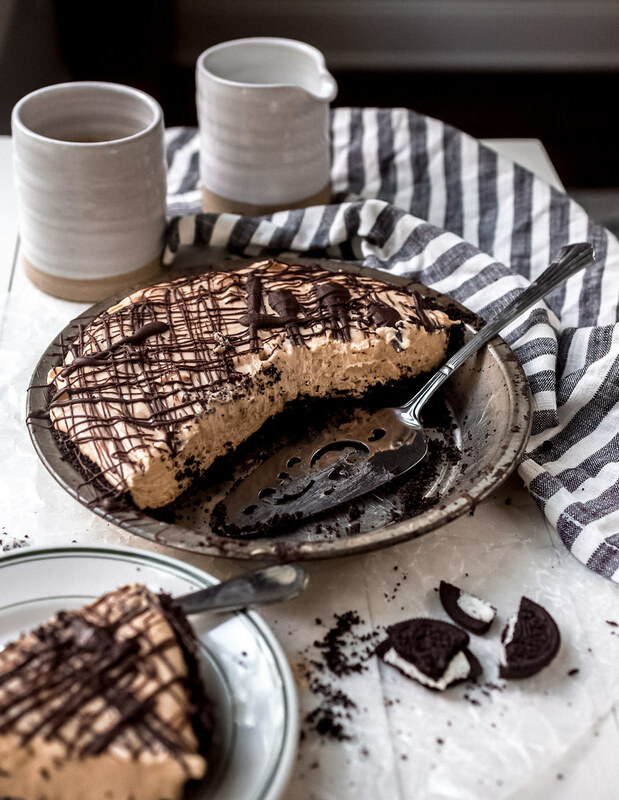 Anyway, I’ve made this peanut butter pie with an Oreo crust a few times over the past couple of months. Tweaking the sugar here, the salt there. Altering the order in which the ingredients are beaten together. Each time the pie turned out really well but the recipe below is the best of all of my attempts. 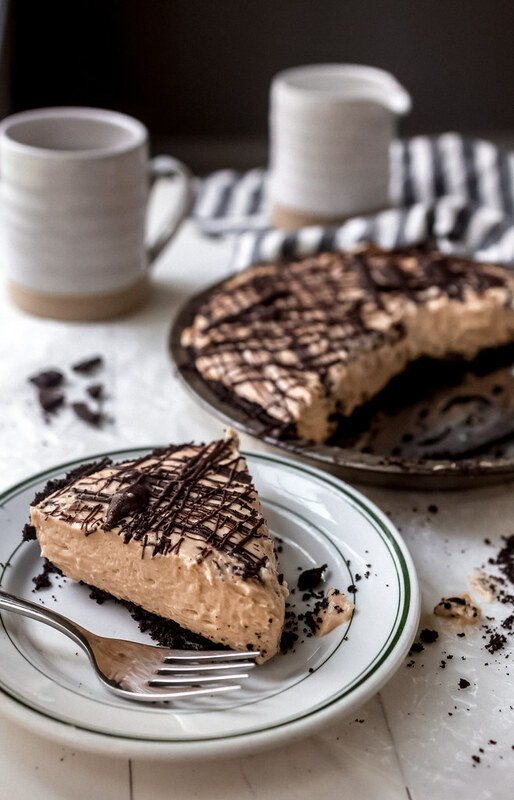 The caveat to the perfection that is this peanut butter pie is the crust. It always turns out a little crumbly. And let’s be real here: it’s an Oreo cookie crust. So, cookie crusts are usually fairly crumbly. These types of crusts aren’t meant to mimic pie dough crusts though. They exist solely to make a delicious and flavorful base for your pie. So don’t let a few crumbs rain on your pie parade! OK? OK.
Whipping up this peanut butter pie. Literally. 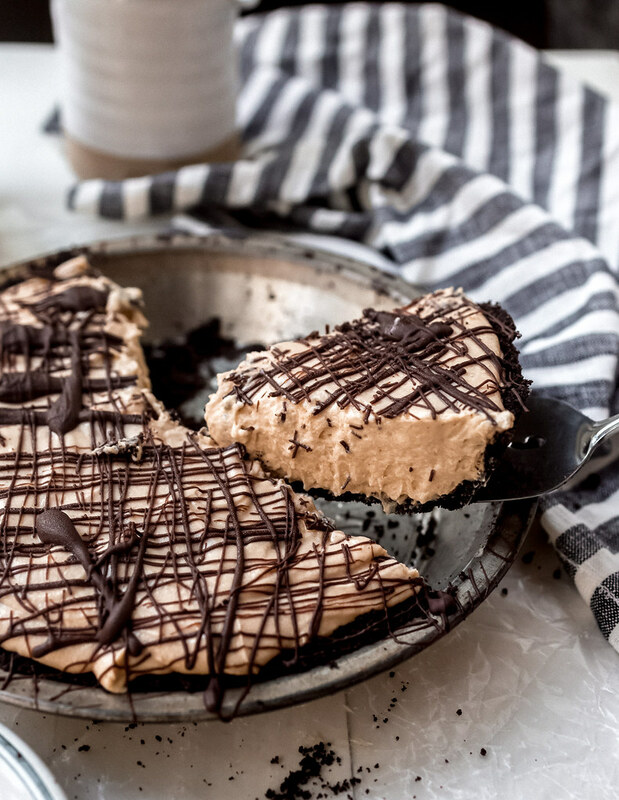 In almost no time, you’ll have this peanut butter pie made and in the fridge chilling out for dessert time later. It’s really SO SO easy to make! Let the food processor be your friend to make the crust. Whir up half of a package of Oreos into crumbs. (Eat the rest.) Then add melted butter, press the crumbs into a pie plate, and bake for 12ish minutes. While the crust cools, beat the peanut butter, cream cheese, vanilla, and salt together. Make some whipped cream and then whip it into the peanut butter mixture until light and fluffy. Dump the peanut butter pie filling into the cooled crust and if you want, drizzle some melted chocolate chips over the top of this pie. Then chill it for a few hours before serving. So easy, right?! The transformation of that fluffy whipped filling into a lighter peanut butter cheesecake filling is almost magical. This peanut butter pie filling reminds me a bit of that Samoas no bake cheesecake tart I made a few years ago but with a fluffier filling. 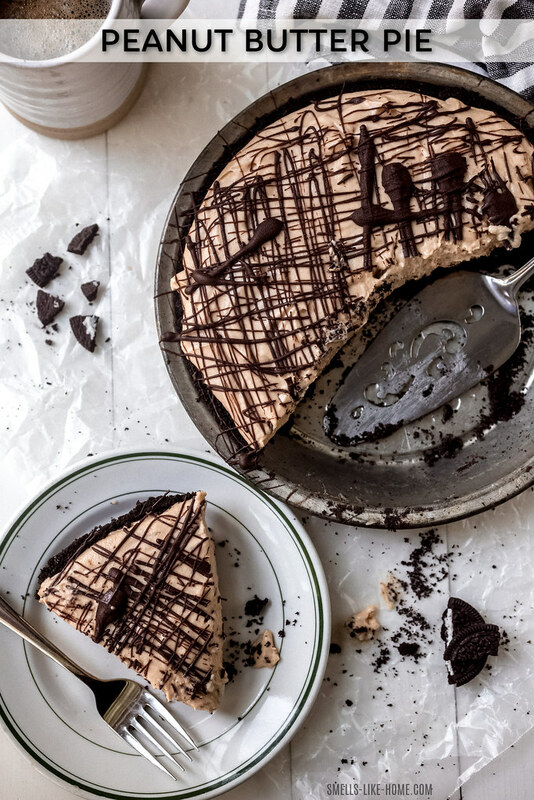 And well, it’s a PEANUT BUTTER pie filling on top of an Oreo cookie crust so that pretty much beats out all other versions automatically, doesn’t it? 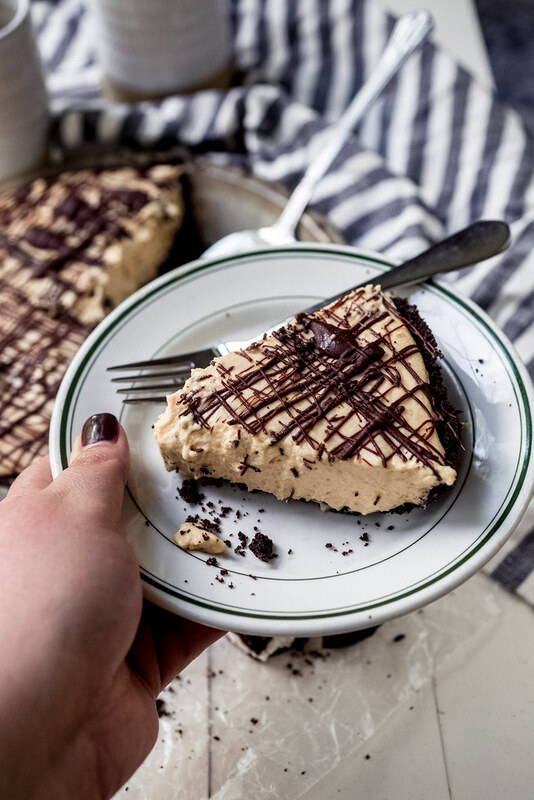 I've made this peanut butter pie with an Oreo crust so many times in the past year and it's always a big winner in my house. 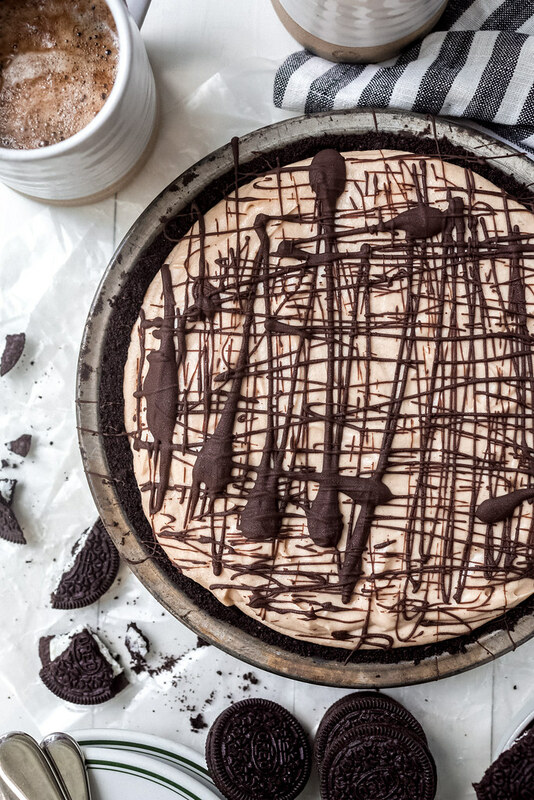 If you have peanut butter lovers in your family, this incredibly easy almost no-bake dessert, with its peanut butter cheesecake-like filling, will definitely win them over too! To make the crust: Preheat oven to 350 F. Ready a 9-inch pie plate. Pulse the cookies in a food processor until finely ground. 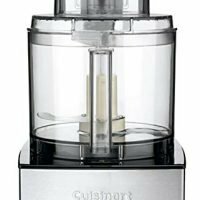 Pour in the melted butter and run the food processor for about 10 seconds, until the crumbs just start to come together. Scrape down the sides of the bowl if the butter appears to stick and pulse a couple more times. 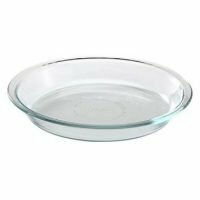 Transfer the cookie crumbs to the pie plate and with the bottom of a wide glass or measuring cup, press into the bottom and up the sides to the top of the plate, leveling out the top of the edges as best you can. Bake for 12-15 minutes. Cool completely on a wire rack. To make the filling: While the crust cools, beat the peanut butter and cream cheese until smooth in the bowl of a stand mixer with the paddle attachment or in a large bowl with a hand mixer. Add in the sugar, salt, and 1 teaspoon of vanilla and beat, starting at low speed and increasing to medium-high, until the sugar is fully incorporated. 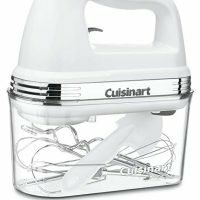 In a separate bowl, beat the cold cream and remaining 1 teaspoon of vanilla with the whisk attachment of the stand mixer or the whisk attachment of an immersion blender, starting at low speed and increasing to high until stiff peaks form. Add the whipped cream into the peanut butter mixture and beat it in until just fully incorporated. Transfer the filling to the cooled crust and gently level off the top, taking care not to knock too much air out of the filling. Refrigerate for at least 3 hours (see note below). Warm the chocolate chips and the coconut oil in a small bowl in the microwave for 30 second increments, stirring after each round, until the chips are melted. Drizzle the chocolate over the top of the pie. Return the pie to the refrigerator for 15 minutes to allow the chocolate to set up. Slice and serve! Storage: Stored in the refrigerator and wrapped in plastic wrap, this pie will keep well for about 2 days. This pie is best served cold, straight from the fridge. It's easier to slice and serve when cold and if left at room temperature for too long, the filling will get soft. It's not a terrible thing but the filling tastes better when cold.